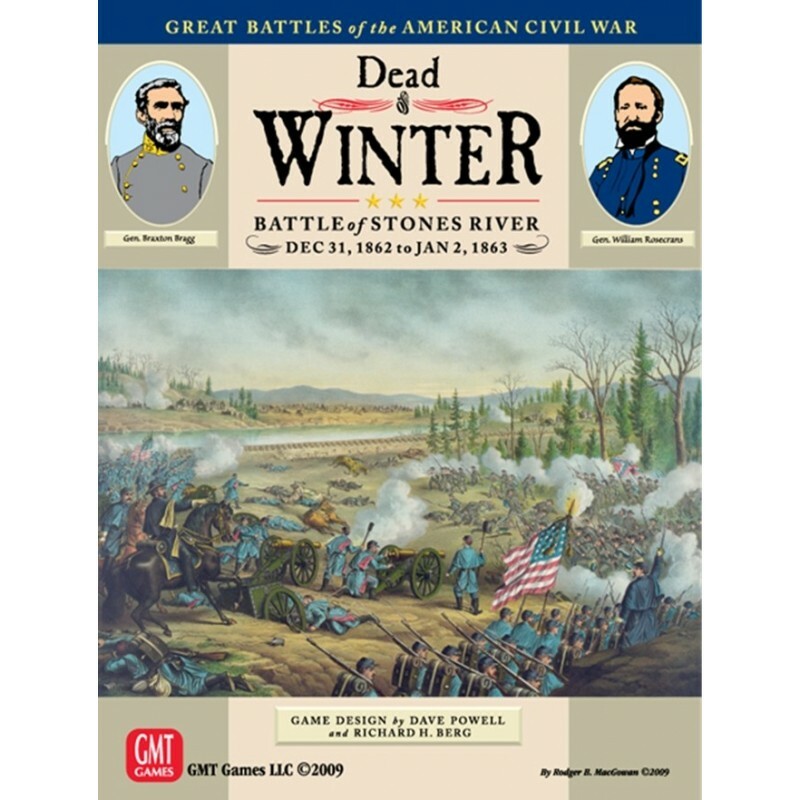 Un jeu de la série Great Battles of the American Civil War portant sur la guerre de sécession. 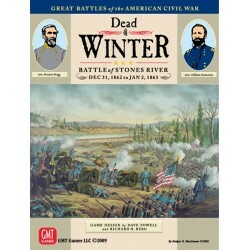 Dead of Winter is GMT's recreation of Richard Berg's "Great Battles of the American Civil War" series title on the battle of Murfreesboro; also known as The Battle of Stone's River to North Veterans. Perhaps one of the most evenly matched battles of the war, Murfreesboro/Stone's River pitted the Federal Army of the Cumberland under Major General William Starke Rosecrans against the Confederate Army of Tennessee captained by General Braxton Bragg. With near parity of numbers (each side fielded roughly 40,000 men) and remarkably similar battle plans, both armies grappled in the December cold for control of Middle Tennessee. The GBACW series is one of the hobby's longest lived design concepts, springing from the legendary regimental Level Gettysburg game -Terrible Swift Sword - created by Richard Berg in 1976. Since then, the series has undergone numerous system evolutions, always seeking to enhance the player's illusion of reality. Today, the series relies on inter-active chit-pull mechanics to simulate the sometimes chaotic nature of the 19th Century battlefield. GMT's Red Badge Of Courage and Gringo! Are the two most recent releases in this classic line of games. Chit-pull, randomized play sequence, linked to a command's allowable activations for that turn. One Introductory and TEN battle scenarios allow players to examine virtually every key engagement of this battle. La série GBACW est la meilleure pour simuler une bataille de la guerre de sécession.